Early morning oxfam trailwalk training in the arboretum. We went round and round for a couple of hours! Chooks rule the roost at Taitua and we came across plenty of hens with chicks. 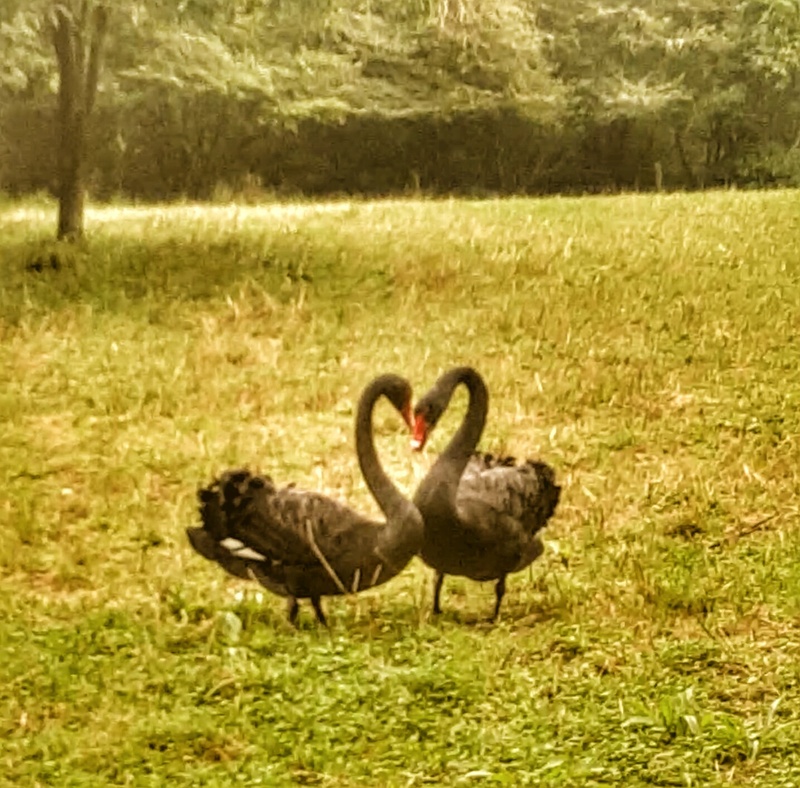 Enjoyed the display put on by two swans too as they danced their dance of love! A traditional photo in the climbing tree and, of course, a handstand. This time in the stone circle.